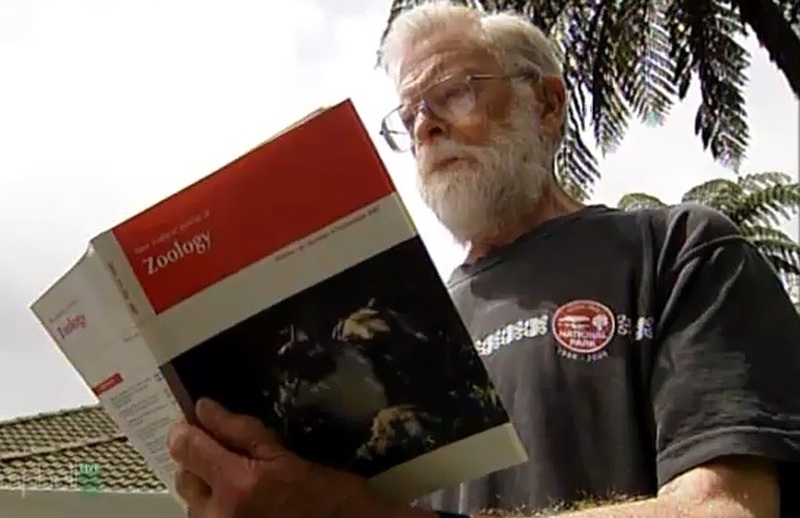 Cats might be a “beneficial urban predator” according to Dr. John Flux and his conclusion featured prominently in the media to have a major influence on the public debate about cats and native wildlife. But Dr. Flux’s conclusion has relied heavily for evidence from just one cat . There are five reasons why what John’s cat dragged in is not reliable evidence for cats being good for urban wildlife. I addressed the first three in my previous posts: cats bring only a small and biased sample of what they actually kill, and the persistence of native species in John’s backyard might be because killed wildlife are replaced by animals recolonizing from elsewhere. John’s conclusion also depended on his observation of one cat, where he thought there were no others – before his cat “only a few stray cats were seen” . Actually, John doesn’t know the density of feral, stray and other domestic cats in his neighbourhood and their kill-rate – he didn’t measure it. In an urban or suburban landscape cats share habitat. Free-ranging domestic cats are our most common companion animal . They live in our towns and cities in extraordinary numbers. New Zealand is home to about 1.4 million domestic cats. Almost half (48%) of our households own an average of almost 2 cats each (1.8 per household with cats). One in every five households own two or more cats – the highest rate of cat ownership in the world. Only 23% of Australian, 19% of UK, and 33% of USA households own a cat . In New Zealand’s 25 main cities there are from 36 to 829 households per square kilometre or 188 households per km2 overall. With our high levels of cat ownership, that translates into up to 7 cats per hectare (a hectare is about one rugby football field or soccer pitch) and at least 1 cat per 3 hectares. Overall, New Zealand’s cities average 1.6 domestic cats per hectare – an extraordinary density for an urban predator that typically ranges over about 1 to 10 hectares or up to 1.2 km from their home . Importantly, cats have idiosyncratic hunting preferences – some favour birds, others mice . Some cats are lethal, others less so. Animals, like cats, are adaptable, learning creatures whose hunting preferences develop and change with experience and circumstances. Lethal cats can become harmless, and harmless cats lethal, during their lifetimes. Some will target native animals more than others. Stray cat colonies, variously cared for and neglected, occur in their hundreds in NZ cities in addtion to the extrordinary densities of domestic cats (Source: www.stuff.co.nz). Cats are super-dense in New Zealand’s cities. And that is without also considering the hundreds – yes hundreds – of stray cat colonies  in our cities, or feral cats in and around the city that are continually replenished with neglected domestic cats. The enormous scale of the cat population and variation in their killing is missed by John in reaching his conclusion. John recorded just one cat that he reports was the only hunter in the vicinity of his home. In the wider world, however, the landscape of our cities, towns, farms and wild places are filled with more than one cat and they are each killing differently. Given the extraordinary density of cats in NZ cities, it is possible that many neighbourhoods will have at least one catastrophic killer of native wildlife. John was careful to write that his cat’s killing was “not necessarily representative of cats in general” but he would have more accurately said that the information from his one cat cannot possibly represent the killing by all the cats in our towns and cities. The record from one cat is not population or ecological science. 2. MacKay J. 2011. Companion Animals in New Zealand. pp. 62: New Zealand Companion Animal Council Inc.
3. Metsers EM, Seddon PJ, van Heezik YM. 2010. Cat-exclusion zones in rural and urban-fringe landscapes: how large would they have to be? Wildlife Research, 37:47-56. 4. van Heezik Y, Smyth A, Adams A, Gordon J. 2010. 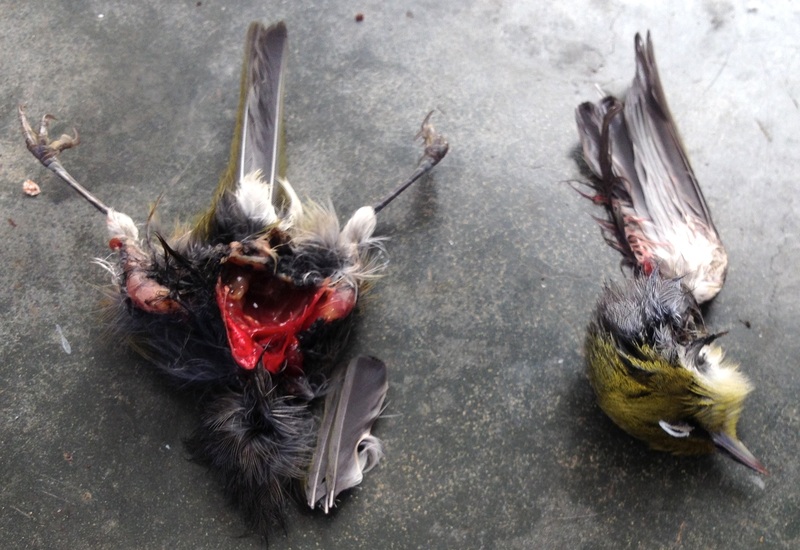 Do domestic cats impose an unsustainable harvest on urban bird populations? Biological Conservation 2010, 143:121-130. 5. Aguilar GD, Farnworth MJ: Distribution characteristics of unmanaged cat colonies over a 20 year period in Auckland, New Zealand. Applied Geography 2013, 37:160-167.